So fumed Judge Berzon when wrestling with the 2016 amendment to the guideline definition of “crime of violence.” See Nickles, III oral argument, here. Happily, Judge Berzon now gives the Commission a welcome interpretation assist. United States v. Bankston, 2018 WL 4016853 (9th Cir. Aug. 23, 2018), decision available here; see also United States v. Nickles III, 2018 WL 4018144 (9th Cir. Aug. 23, 2018). Players: Decision by Judge Berzon, joined by Judges Wallace and Callahan. Important win for AFPDs Grace DiLaura (argued) and Todd Borden on the briefs, Northern District of California FPD. Facts: In 2015 Bankston pleaded guilty to being a felon in possession of a firearm. Id. N.D. Cal District Judge Illston agreed with the defense, and held that the “crime of violence” section of Guidelines §§ 4B1.2, 2K2.1 was unconstitutionally vague. Id. at *2. Judge Illston accordingly rejected the PSR’s pitch to characterize the two Cal. Penal Code § 211 (robbery) convictions as “crimes of violence.” Id. The government appealed. Id. Issue(s): “In this case, we reevaluate whether California robbery constitutes a ‘crime of violence’ under the United States Sentencing Guidelines [after Amendment 798.”].” Id. at *1. Held: “We hold that, under Amendment 798 to the Sentencing Guidelines, California robbery is not a ‘crime of violence.’” Id. “Under Amendment 798, Guidelines-defined extortion does not criminalize extortion committed by threats to property; California robbery does. California robbery is thus no longer a categorical match to a combination of Guidelines-described robbery and extortion, and Becerril-Lopez’s holding to the contrary no longer controls.’” Id. at *3. Of Note: Unfortunately for Mr. Bankson, paired with this great new robbery holding was a disappointing refusal to find the amendment retroactive. As Judge Berzon explains, “Bankston was sentenced six months before the effective date of Amendment 798—and, as we now hold, the portion of that amendment applicable here is not retroactive. Bankston’s efforts to avoid the consequences of that lack of retroactivity are valiant but unpersuasive.” Id. at *1. Put differently, going forward Cali robbery is not a crime of violence under the Sentencing Guidelines (for felon-in-possession cases, for example, or Career Offender sentencing). However, there’s no retroactive amendment relief for folks sentenced before 798’s effective date (Aug. 1, 2016). How to Use: Bankston won the guideline battle but lost the appellate war: his case was remanded and sentencing is now scheduled for October. The defense argued to the Ninth that any error was harmless: Bankston suffered a tragic childhood, battled addiction, lost a beloved family member, and lacked mental health counselling – the 33 months was thus a fair sentence regardless of the retroactivity technicality. Id. at *7. While the Ninth was conspicuously sympathetic to these arguments, the panel reluctantly conceded that “[A] one-size-fits-all explanation ordinarily does not suffice in light of a Guidelines calculation error—and it does not suffice here . . . As we cannot say with certainty that the district court’s sentencing error was harmless, we must remand for resentencing.” Id. at *7. Use Bankston against the government when it tries to dodge a remand– it’s the rare case that will avoid a trip back to the district court when the guideline calcs are wrong. For Further Reading: How should federal courts, as an institution, deal with huge and anomalous re-sentencing events? It is a question that was squarely presented by the tsunami of Johnson litigation that has hit the federal system over the last three years. In November 2015, an enlightened District Court for the Northern District of California appointed the Federal Public Defender and Criminal Justice Act panel attorneys to represent inmates seeking Johnson relief. See Misc. ord. 2015.11.17, available here. Working closely with Probation, the NorCal FPD reviewed over 1,900 cases for eligibility. Ultimately, over 100 Johnson Sec. 2255 motions were filed by the FPD and the CJA panel. By our count, our collective Johnson efforts have resulted in a reduction of over 40 years of federal prison time in the Northern District alone! The general appointment order from the ND Cal District Court allowed the stakeholders to work “proactively and collaboratively,” resulting in efficient litigation of the Johnson deluge (and just outcomes for the Johnson petitioners). An important new analysis compares Districts that did (and did not) appoint the Defender for the Johnson effort, confirming that the NorCal Court got it right. See Caryn Devins, Lessons Learned from Retroactive Resentencing After Johnson and Amendment 782, 10 Fed. Cts. L. Rev. 1 (Winter 2018), available here. US v. Guizar-Rodriguez, No. 16-10507 (8-17-18)(N. Smith w/Bea & Nye). The 9th affirms a 1326 conviction. The defendant argues that his prior conviction, battery with a deadly weapon under Nevada Revised Statute 200.481(2)(e)(1) is a categorical “crime of violence.” Although this is a battery, even the least touching with a deadly weapon or instrument is violent in nature. A deadly weapon under state law here, the 9th finds, is given a broad reading and is both functional and inherent. If at first you don't succeed, file, file again. Henry v. Spearman, 2018 WL 3716085 (9th Cir. 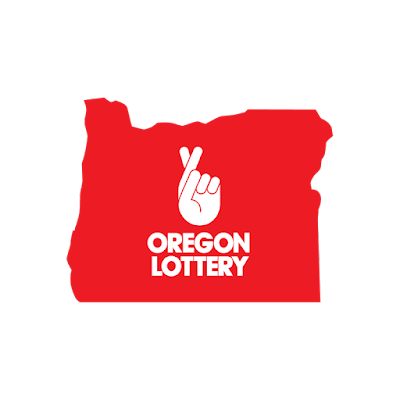 Aug. 6, 2018), decision available here. Players: Decision by Judge Gould, joined by Judges Schroeder and 10th Circuit Judge Ebel. Admirable victory for ND Cal FPD Appellate Chief Carmen Smarandoiu (argued), and AFPD Todd Borden (on the briefs). Facts: In 1996, Henry was convicted in California state court of second-degree murder. Id. at *1. “The jury was instructed that it could convict Henry of murder based on California’s unique second-degree felony-murder rule, which imputes the requisite malice from the commission of a felony that, viewed in the abstract, is ‘inherently dangerous.’” Id. Henry filed an unsuccessful habeas petition in federal court. After Johnson, he moved the Ninth for leave to file a second or successive (“SOS”) § 2254. Id. Henry argued that, after Johnson, California’s second-degree murder rule is unconstitutionally vague. Id. that was previously unavailable.” Id. at *1. “[T]he controlling question for us is whether Henry has made a prima facie showing that his petition ‘relies on’ Johnson. We have never before considered what is required for a claim to ‘rel[y]’ on a qualifying new rule for the purposes of § 2244(b).” Id. at *2. Held: “We conclude that Henry has made the necessary showing to file another § 2254 petition, and so we grant Henry’s motion to file a second or successive habeas corpus petition.” Id. at *1. Of Note: California’s wacky second-degree felony-murder rule is, by any fair reading, unconstitutionally vague. Unlike other states, Cali takes an “abstract” approach to evaluating the underlying crime’s dangerousness for this offense. Id. at *3. The California Supreme Court has used different and conflicting approaches to determining dangerousness, and the “risk threshold” for that standard is (to be charitable) “imprecise.” Id. Notably, this unfair law is targeted for reform: the State legislature is actively considering a bill. See California considers limiting broad ‘felony murder’ law, Aug. 16, 2018, available here. In the meantime, how many incarcerated state prisoners should be filing habeas challenges to their second-degree felony convictions, after Johnson II? California officials confess “they don’t know how many convicts are serving time for felony murder.” Id. How to Use: Judge Gould articulates a new Ninth rule for the “relies on” test, in the context of SOS petitions. “We agree with the Third Circuit that § 2244(b) calls for a ‘permissive and flexible, case-by-case approach’ to deciding whether a second or successive habeas corpus petition ‘relies on’ a qualifying new rule of constitutional law. . . . We ask whether the rule ‘substantiates the movant’s claim,’ even if the rule does not ‘conclusively decide[ ]’ the claim, or if the rule would need a ‘non-frivolous extension’ for the petitioner to get relief. Id. . . . ‘[I]t is for the district court to determine whether the new rule extends to the movant’s case, not for this court in this proceeding.’; ‘[W]hether the new rule ... extends to a prisoner like [petitioner] ... goes to the merits of the motion and is for the district court, not the court of appeals.’” Id. at *2 (citations and quotations omitted). Henry is an important “get into court” win: habeas folks will want to add it to their arsenal. So concludes U.C. 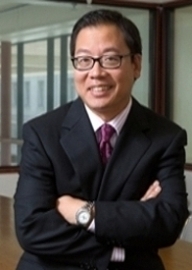 Hastings Prof Evan Tsen Lee in a terrific article, cited by Judge Gould in Henry. See Why California’s Second-Degree Felony-Murder Rule is Now Void for Vagueness, 43 Hastings Const. L.Q. 1, 53-56 (2015), available here. Till death (or interrogating federal agents) do us part. United States v. Fomichev, 2018 WL 3748658 (9th Cir. Aug. 8, 2018), decision available here. Players: Decision by Judge Christen, joined by Judges Wardlaw and Owens. Facts: Fomichev, born in Russia, came to the States. Id. at *1. He met a woman, Pogosyan, and they married soon after. Id. Pogosyan applied for a visa for him, Homeland Security found the marriage bona fide, and Fomichev obtained conditional residence. Id. Years later, IRS agents confronted Pogosyan about where she and Fomichev lived and their tax returns. Id. She said she wanted to “come clean” and admitted she had only agreed to marry Fomichev so he could secure US citizenship – he’d pay her rent in return. Id. She made a recorded call to Fomichev, and he made incriminating statements (urging her to “not set him up.”) Id. They divorced, and Fomichev went to trial on immigration and tax charges. Id. at *2. Fomichev moved to suppress the recordings with his ex-wife, arguing that they were protected under the marital communications privilege. Id. 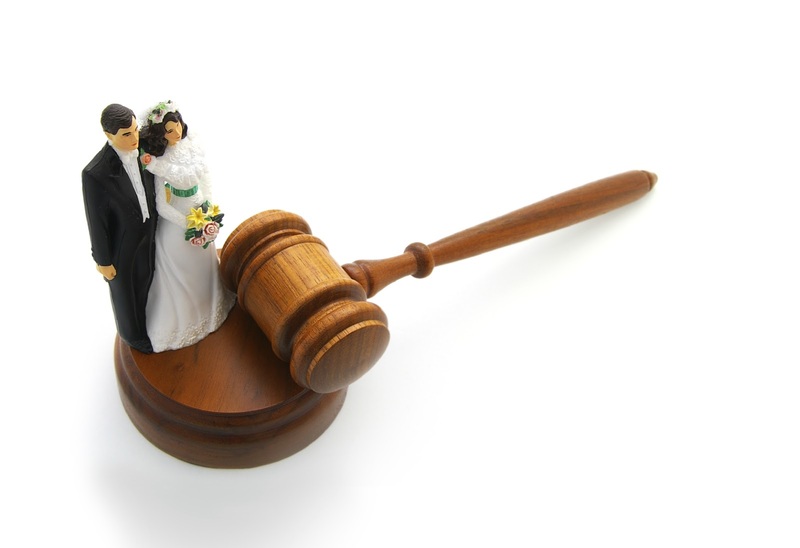 The court extended the “sham marriage exception” to the privilege, and denied the motion. Id. Fomichev was convicted. Id. at *3. Issue(s): “Fomichev’s challenge . . . primarily relies on the marital communications privilege, arguing that the district court erred by admitting statements he made to Pogosyan in confidence during the course of their legally valid marriage.” Id. 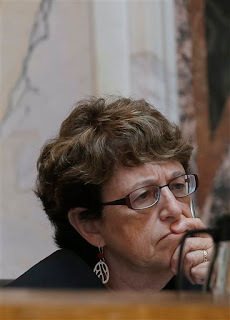 “The government recognizes that we have applied the sham marriage exception only to the spousal testimonial privilege, but it argues that there is no principled reason not to extend the exception to the marital communications privilege, and that allowing a defendant to hide behind the marital communications privilege while engaged in marriage fraud fails to balance the privilege against society’s strong interest in the administration of justice.” Id. at *3. “[T]he government is free to try to prove that Fomichev falsely certified that he did not marry for the purpose of obtaining an immigration benefit . . . . The question before us is limited to whether the government should be allowed to use Fomichev’s private marital communications in order to prove its case.” Id. at *4. Held: “We are not persuaded that the exception should be extended.” Id. at *3. Of Note: Fomichev is an important win for FRE 501 privileges -- the marital communications privilege will not be weakened by a new exception urged by the government. The opinion is also a thoughtful recognition that marriages come in all cultural stripes and flavors -- Judge Christen is appropriately reluctant to wade into this intensely private aspect of our lives, and opine on what is and isn't a "sham" marriage. See id. at *5 & n.3. The Ninth notes well-established law holding that the marital communications privilege does not extend to communications that take place after the “marriage becomes irreconcilable.” Id. at *5. The district court in this case made no findings about whether this marriage was “irreconcilable” when Fomichev made his statements to his wife. The Ninth therefore remands the case to the district court to rule on “irreconcilability.” Id. Given the district court’s previous musings on the “sham marriage,” “irreconcilability” may be a tough row to hoe, on remand. How to Use: The government had an additional (worrisome) argument on appeal: that Fomichev’s statements to his wife were not entitled to the privilege, because they were made “in furtherance of a joint criminal activity.” Id. That “well-recognized exception,” id. at *3 & n.2, might have carried the day for the government. The Ninth, however, found that this argument was “raised for the first time on appeal, so we do not address it.” Id. This declination comes despite the fact that the government argued in the district court that the statements amounted to witness tampering. Id. at *3 & n.2. The government, explains Judge Christen, “failed to cite any authority [in the district court] supporting such an exception.” Id. Fomichev is a commendable and honest application of appellate waiver against the government: tuck this waiver discussion away for use in future appeals. For Further Reading: This panel of three active Ninth Circuit judges was an unusual draw, of late. No visiting District or out-of-circuit judges, no Senior Circuit judges -- a statistical anomaly. It was also notable because two of the three jurists had been drawn to replace former judges on the panel (Judges Kozinski and Reinhardt). If you have access to the Daily Journal, Nicolas Sonnenburg has written an interesting article on these delicate judicial switches: 9th Circuit case reassignment policy raises tricky questions, SF Daily Journal Friday Aug. 10, 2018. Image of bridge, groom, and gavel from http://www.theweddinglawyer.co.uk/home/ . US v. Fomichev, No. 16-50227 (8-8-18)(Christen w/Wardlaw & Owens). Remember Shakespeare's Sonnet 116 (see below)? This comes into play here, on an appeal from convictions for making false statements on immigration documents related to a marriage. The defendant, here on a student visa from Russia, allegedly married not for love, but to secure immigration benefits (Russian into marriage? Alt marriage facts?). The marriage, in California in 2007, had been found valid by Homeland Security. An investigation by the IRS led to the spouse "coming clean" that it was a marriage of convenience, to secure immigration benefits. The marriage did end in divorce in 2012. However, before that, the IRS recorded conversations between the two as to their deepest fears and concerns (that the marriage was not a real marriage, with a meeting of souls). The district court denied a motion to suppress based on the marital privilege. The court held that the marriage was a sham; they had never lived together nor been intimate. As such, the court extended the sham marriage exception of the spousal privilege (spouses testifying against one another) to the marital communications prong of the marital privilege. The 9th was uneasy with this expansion. The opinion delineates the two prongs, and why a sham marriage may be a limited exception to the spousal testimony, but that courts should be wary of extending the exception to the other prong under FRE 501. The 9th describes how a marriage can grow, and change, and deepen. But, there has to be a marriage. If it is irreconcilable at the time that spouses engage in marital communications, then the privilege does not exist. The 9th reasoned that the privilege only exists if the marriage is valid and is not irreconcilable. Here, hint hint, the marriage may have been irreconcilable when the recordings were made. This point was made but not argued by the prosecutor before the court, nor did the court rule on the issue. Thus, the case is remanded to determine whether the marriage was irreconcilable at the time of the statements were recorded. The court should reconsidered its ruling and the new trial motion after it had been a determination. US v. Nature, No. 17-10161 (8-6-18)(Wallace w/N. Smith & Friedland). The 9th affirms a conviction for being dangerously under the influence of alcohol in an administrative site adjacent to a national park. This is in violation of regulation 36 CFR 34.5(b)(21). The defendant argued that the regulations applied to national parks under 36 CFR 2.35 and not to an administrative site. The 9th decided it did not have to decide whether the administrative site falls within the meaning, and jurisdiction of a park area under 36 CFR 2.35, because 34.5 incorporates the prohibition, with changes, to apply to the administrative site. The government takes its lumps, in a welcome restitution decision. United States v. Holden, 2018 WL 3580122 (9th Cir. July 26, 2018), decision available here. Players: Decision by Judge Graber, joined by Judges M. Smith and DJ Korman. Admirable wins for Fed. Defender Lisa Hay, District of Oregon. Facts: Holden and a co-defendant had an investment scheme for foreign biofuel production. Id. at *1. The biofuel plants never materialized; they were charged with fraud and other financial crimes, and Holden was convicted after a trial. Id. At sentencing, Holden was ordered to pay more than $1.4 million in restitution. Id. The written order specified that the entire amount was “due immediately” in a “lump sum payment.” Id. at *5. The district court also, however, set out a small-sum payment schedule, and conceded that Holden lacked the ability to make full restitution immediately. Id. Issue(s): “Defendant argues that the district court erred by ordering immediate restitution in full in light of its finding that he lacked the funds to make such restitution.” Id. at *6. Held: “When a district court orders a defendant to pay restitution under 18 U.S.C. § 3664, it must specify in the restitution order the manner in which, and the schedule according to which, the restitution is to be paid, in consideration of . . . the financial resources and other assets of the defendant.” . . . . In order to meet its obligation under § 3664, a court must ‘consider’ a defendant’s financial resources. . . . If the court determines that the defendant is unable to make immediate restitution, the court must set a repayment schedule in the judgment of conviction. . . . . Id. at *6 (internal quotations and citations omitted). “[W]e read the district court’s order as both requiring immediate restitution in full and setting a mandatory, unconditional schedule of payments during the period of incarceration.” Id. “So construed, the restitution order is internally inconsistent. But that inconsistency does not require us to seek clarification from the district court. Again, the district court orally announced that Defendant lacked the ability to make immediate restitution in full. The written restitution order, insofar as it purports to order immediate restitution, is inconsistent with that finding. In this situation, we construe the written order to conform to the court’s oral ruling . . . . We therefore vacate the restitution order and remand so that the district court can strike the lump-sum payment requirement from the judgment.” Id. at *7 (internal citation omitted). Of Note: The rejection of the Financial Litigation Unit’s (FLU’s) and Probation’s lump sum gambit is a great outcome in this opinion. Another welcome win is the Ninth’s rejection of a two-level “organizer” enhancement for Holden, who was a “co-equal” of his co-defendant in the biofuel scheme. Id. at *4-*5. When your PSR paints your client as an “organizer,” take a look at the narrow definition in Holden to fight the offense-level bump. How to Use: For years, FLUs and Probation have conspired to seek lump-sum restitution payment orders against our clients who can’t afford to buy soap at the prison commissary. The government is afraid that our dirt-poor clients may, say, hit the lottery. Judge Graber is unmoved by the government’s fear. She explains that the Ninth “is confident that the Government will be able to recover any future assets that Defendant may acquire.” Id. at *7 & n12. After Holden, it is legal error for a district court to find that a defendant can’t immediately pay restitution, yet simultaneously order a lump-sum payment. Object to and appeal restitution orders that (inconsistently) demand lump sum repayments from our indigent clients. For Further Reading: Do you love opera? So does the government. Since 2015, DOJ FLUs have had access to the Judiciary’s Offender Payment Enhanced Report Access (OPERA), to go after restitution debts. See article here. DOJ / USAO FLU personnel hit the Court’s OPERA data system about 500 times a day, we’re told. As Darrell Curtis, Management Analyst for the Executive Office for United States Attorneys (EOUSA), reports “It’s been a great asset. 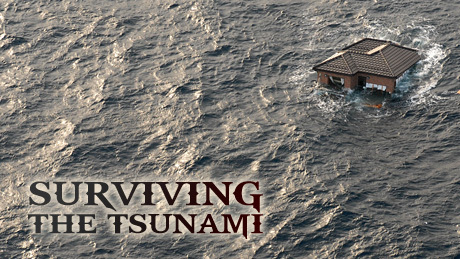 It’s really enhanced our ability to enforce debts.” Id. 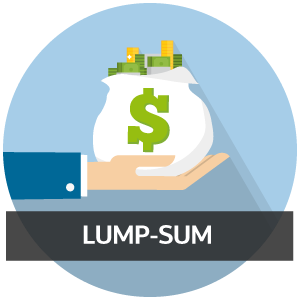 Image of “lump sum” graphic from https://sourcingspider.blog/2017/07/27/hr-wordlump-sum-bonus/. US v. Ochoa-Oregel, No. 16-50413 (8-2-18)(Gould w/Murguia & Christensen). On an appeal from a 1326 conviction in 2016, the 9th holds that his prior removal orders in 2008 and 2011 were "fundamentally unfair" and neither can serve as predicate removals. The defendant's conviction is reversed. The defendant was a LPR in 2008. His removal proceeding was in absentia. As such, he was not given a chance to exhaust or to appeal. Moreover, the circuit precedent established that his prior, a California battery, was not a categorical crime of violence. Thus, the 2008 in absentia removal for domestic violence was in error and cannot serve as a predicate. Likewise, the 2011 removal order also cannot serve as a predicate. It was an expedited proceeding, but the same due process concerns apply. The defendant could not contest the erroneous prior decision. "The due process defects in the erroneous 2008 removal proceeding infect the 2011 removal." The gov't's argument that he was an agg felon in 2011 fails because, at that time, he was removed for presenting invalid entry documents. However, since he was a LPR, his entry documents were not invalid. Perhaps the gov't could have removed him on other grounds, but this ground was illegitimate. An order of removal does not strip the defendant of his status. People do not lose LPR status "through legally erroneous decisions in hearings where they are not able to defend themselves because they were not present." Congrats to Whitney Bernstein of the Fed Defenders of San Diego.